The Neue Schule für Fotografie is in the beating cultural heart of Berlin, close to Rosenthaler Platz and numerous internationally known galleries and art spaces. Spread over more than 700 square metres in Mitte, the school has several teaching rooms, a large photo-studio, two black and white darkrooms, a colour darkroom, a computer room, a printer room, and a large gallery directly on the bustling Brunnenstraße. 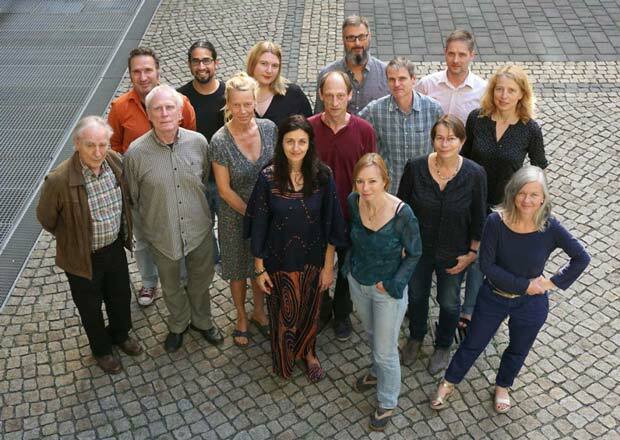 The staff of the Neue Schule für Fotografie is comprised of experienced Lecturers, artists, working photographers and researchers. The education we provide at the Neue Schule für Fotografie focuses on developing individual talents and strengths.Alongside the teaching of fundamental principles and techniques, students are supported in the development of their personal artistic approaches, giving them all the necessary knowledge for a successful career. The three and a half year course at the Neue Schule für Fotografie provides students with the training necessary to develop their skills in the conception, production, editing, and presentation of analog and digital photographs, regardless of which field students decide to go into. Students are encouraged to follow their own path into art, reportage, documentary, product or fashion photography. The Neue Schule für Fotografie has existed in its current form since 2007. It was formed by members of the former Fotoschule am Schiffbauerdamm (FaS). The sponsoring association of the Neue Schule für Fotografie is the Internationale Akademie für Photographie (IAPh), a non-profit society for the promotion of photography, whose board of directors manage the school.